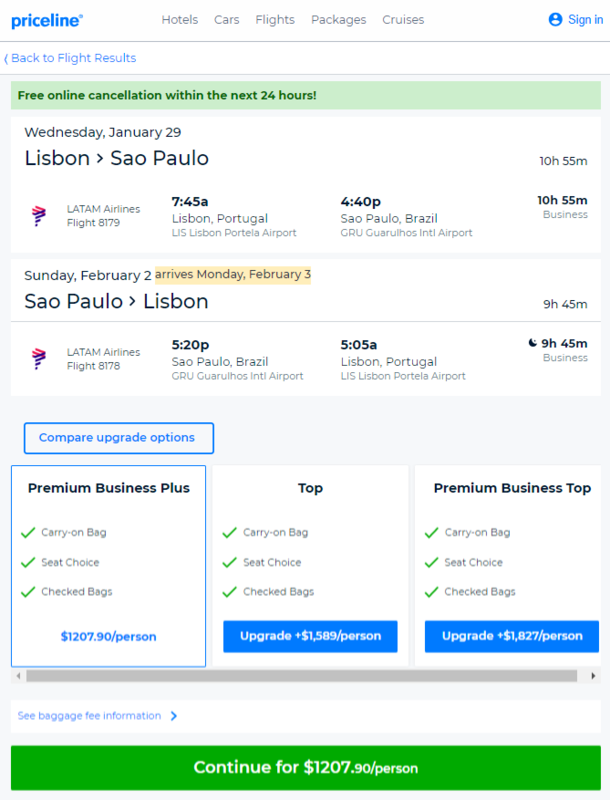 Today’s Airfare of the Day goes to LATAM and their business class restricted one way fares between Portugal and Sao Paulo. 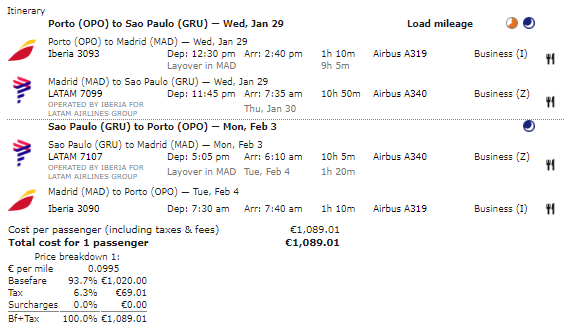 This fare can be routed via MAD on IB operated flights. 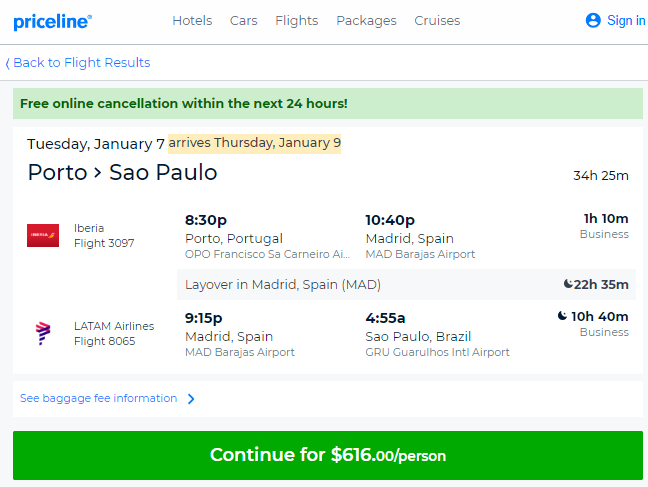 The following accruals were estimated using wheretocredit calculator for LIS-MAD-GRU one way travel on LA marketed, LA/IB operated flights without considering any elite status bonuses or ongoing promotions.